Recommended when nothing else will work in abrasive slurries, high temperature corrosives and services with large temperature fluctuations. All interior body surfaces and the ball are made of solid Mg-PSZ for superior erosion/corrosion resistance. Excellent strength and thermal shock resistance. A wide selection of stem material options available 316 stainless steel, Hastelloy C-276 or Mg-PSZ (Partially Stabilized Zirconia) ceramic. 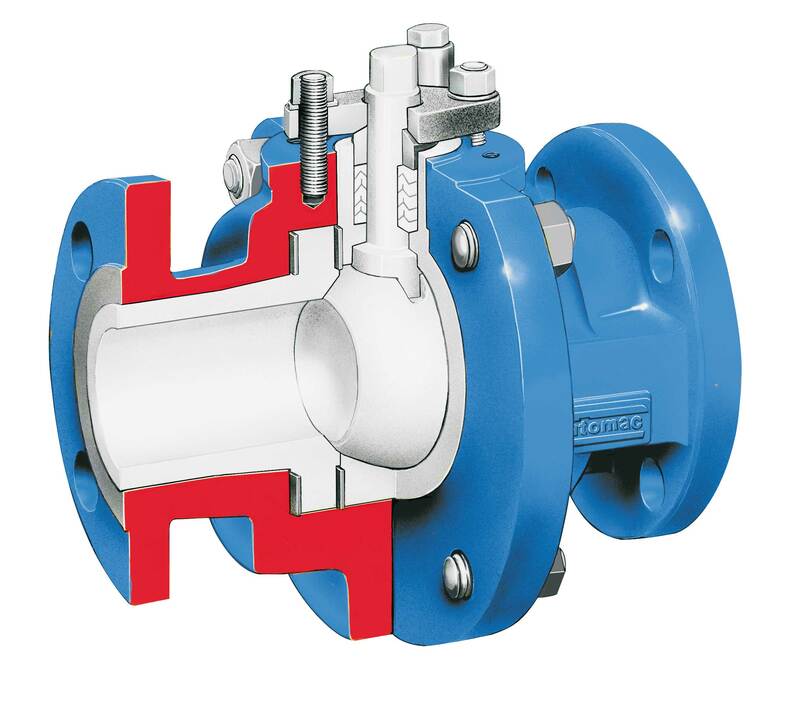 Full port minimizes pressure loss and increases flow capacity to reduce energy and pumping costs. ISO 5211 mounting pad makes actuator mounting quick and easy. PTFE chevron or graphite packingrings in the deep stuffing box protects against external leakage to the atmosphere. Optional V-port ball provides equal percentage control for throttling abrasive/corrosive media. Minimum cavity space minimizes the retention of line media within the body cavity so product contamination problems are significantly reduced. Available in 1-in thru 4 in.